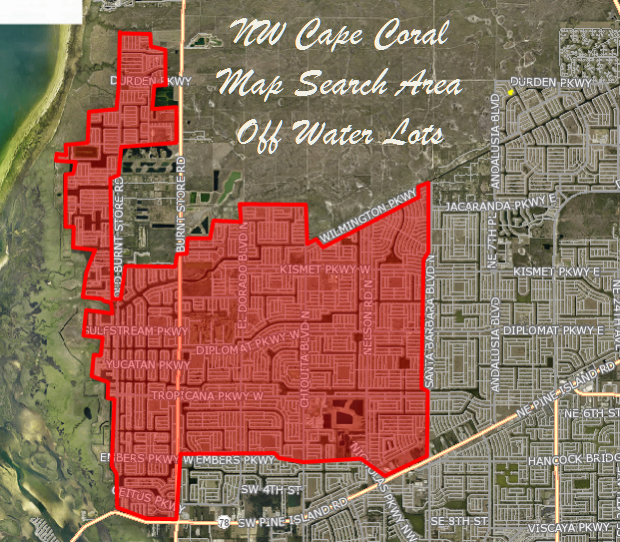 Browse through these off water building sites in Cape Coral, Florida. This is the city that offers some of the most inexpensive property available today. Live in SW Florida's tropical paradise without spending a fortune. There are lots priced below $10,000 and for a little more you can have hundreds of lots to choose from. The NW part of Cape Coral saw a lot of new home construction but there are still plenty of lots to choose from. If you like the setting where your neighbors are not right on top of you than NW Cape Coral could be just what you're looking for. New home construction is on the rebound so browse our site for lots and contact me if more information is needed. There are also fresh water sites available please visit the NW Cape Coral Fresh Water Lots page. GREAT VALUE. LOWEST PRICED COMMERCIAL LOT IN UNIT 39. Lot measures 25x125. GREAT VALUE. ONE OF THE LOWEST PRICED COMMERCIAL LOTS IN UNIT 39. Lot measures 25x125. GREAT VALUE. AMONG THE LOWEST PRICED COMMERCIAL LOTS IN UNIT 39. Lot measures 25x125. Commercial lot on Diplomat Pkwy W just west of Santa Barbara Blvd. Buy for future investment in the growing city of Cape Coral. Great opportunity to invest in a COMMERCIAL lot in a hot area! Size is 25 x 125, needs to be combined with others to be build-able. Single Family oversized vacant lot on cul-de-sac in NW Cape Coral, western exposure. Very Nice Home Site Lot Located in a Very Quiet Neighborhood of the NW Cape. Wonderful quiet family friendly neighborhood. Priced for quick sale. Build your dream home now or invest in the future.